I wasn’t planning on getting this obsessed with Dark Souls Remastered. After all, I’ve already logged somewhere in the neighborhood of 250 hours with this brilliant, infernal game—not to mention the dozens more spent clawing my way through its sequels and offshoots. And yet here I am, not even 10 hours deep, sprinting down the same path I’ve traveled many times before, with the Lordvessel already in hand, a Grass Crest Shield on my back, and a zweihander resting heavily on my shoulder. It’s amazing how profoundly different this game becomes when you’re revisiting it. What starts as a slow, terrifying slog through a wondrous but suffocatingly oppressive world becomes more like your 10th trip to Disneyland. (You know, if all the people dressed up like characters were trying to murder you.) You’ve learned everything there is to learn, and you’re here to see your favorite sights, using all that accumulated knowledge to plan out the perfect, most efficient path. 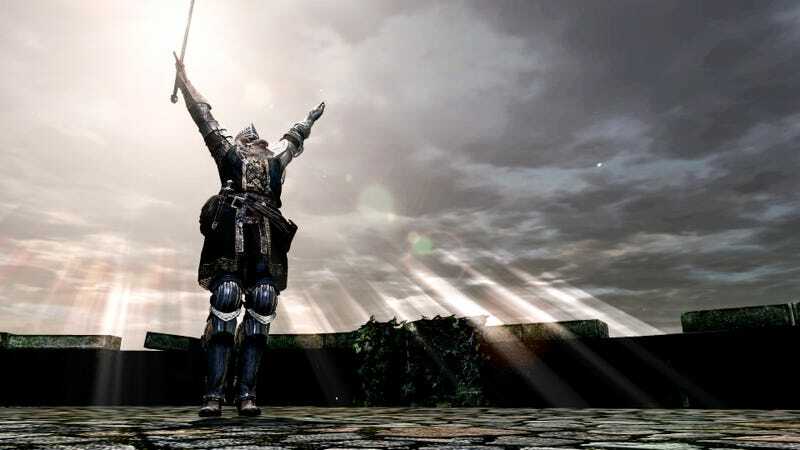 That the interlocking cylindrical sprawl of the world is open enough to support cracking apart the whole flow of the game like this is one of its truest beauties, and it’s the one thing that really maintains the original Dark Souls’ place atop the trilogy. The biggest problem I’m running into—outside of the occasional audio-visual hiccup, like silent elevators or all the new lighting tricks making for some weird interactions—is reverting back to the game’s swordplay. Aside from Bloodborne, I don’t think FromSoftware’s later games hold a candle to Dark Souls as a whole, but each one has brought improvements to the pacing and flow of combat. Going back to the original, with its fidgety dodge-rolls and determinedly unhelpful camera, is jarring, and it’s taken a lot of stumbling to fall back into its groove. I’m there now, though, and it’s nice to be back.